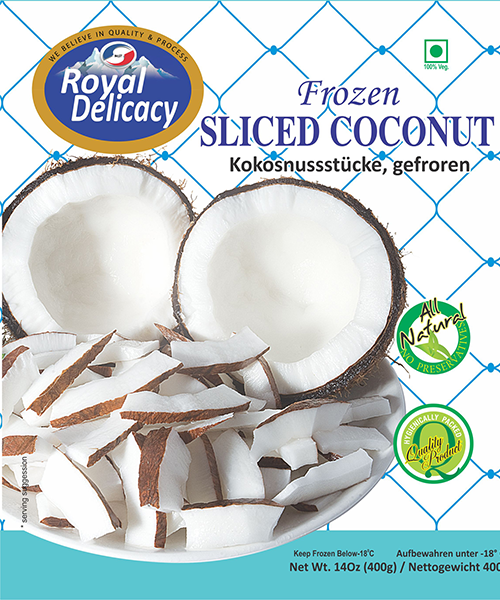 Ingredients: Freshly cleaned and frozen Sliced Coconut. This is to declare that the Sliced Coconut is prepared by the following procedure. Coconut is sort out and after de-shelling it is cleaned with fresh water and then sliced in to small pieces. It is blast freeze at -32 °C and pack and stored at – 18 °C. The procedure is carried out so as to assure that the product is free from any type of contamination.